The median home value in Leawood, KS is $465,000. This is higher than the county median home value of $230,900. The national median home value is $185,800. The average price of homes sold in Leawood, KS is $465,000. Approximately 90.44% of Leawood homes are owned, compared to 6.82% rented, while 2.74% are vacant. 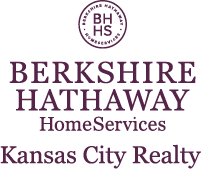 Leawood real estate listings include condos, townhomes, and single family homes for sale. Commercial properties are also available. If you see a property you’re interested in, contact a Leawood real estate agent to arrange a tour today! Learn more about Leawood Real Estate. Enjoy all modern amenities in this completely remodeled Old Leawood home, and keep all the Old Leawood charm! Vaulted ceilings flow over the living room and kitchen, providing an open entertainment area. A huge marble topped island provides a gathering spot for all, while cleverly providing additional cabinet and drawer space. Kitchen also includes SS/appliances and tasteful gold accented hardware. New flooring throughout w/ hardwoods on main level, and a mix of tasteful carpet and tile in the finished basement. Step into this showcase home & fall in love w/ the panoramic golf course views. This exquisite 2 story offers special features like the 1st floor bdrm, relaxing screened porch & wrap around deck and a built-in custom bar. Meticulously cared for, the home includes 6 bedrooms, 5 baths, library/office, gourmet chefs kitchen, front/back stairs, side entry garage. Also has custom detailed ceilings, updated light fixtures & built-ins. ELEGANT HOME IN DESIRABLE LEAWOOD'S WILSHIRE PLACE! Two story entry opens to formal dining room. Stunning study has high ceiling and palladium window. Enjoy quiet conversation in the great rm or gather in the spacious heath room/kitchen. The breakfast area overlooks multiple paver brick patios perfect for outdoor entertaining or relaxation. Each bedroom has walk-in closet, ceiling fan/lite, bath access. Master is over sized with sitting area. Great Old Leawood ranch on large corner lot. Impeccable maintained and landscaped, this home boasts 3 beds and 2 full baths all on the main level Great natural light through out the home. Tons of potential and many recent updates including a newer roof and kitchen cabinets, appliances, and windows. Huge composite deck nestled among the trees and flowers. Don't miss your chance to get into Leawood and Shawnee Mission east school district for under $400,000!!! Quality of construction shines in this well layed out gem. Large, flat and fenced backyard with courtyard, are perfect for outdoor enjoyment. Large master suite is away from living and entertaining spaces. 3 bedrooms up all with own bath & hardwood in hallways. Open lower level finish with wet bar and fireplace. 5th bedroom in LL with full bath. Even with finished space, still loads of storage or expansion. Enjoy maintenance-free living in sought after Camden Woods. Soaring ceilings in LR & Dining Room with newly refinished hardwood floors. Fireplace in LR w/large windows. Custom kitchen cabinetry w/stainless steel appliances. Breakfast room leads to large deck ideal for summer entertaining. 2 bedrooms on main level both have brand new carpet. Finished lower level with large family room and bar area & daylight windows. Lovely treed backyard. Unfinished portion of basement has tons of storage & cedar closet. FABULOUS single family patio villa in the coveted community of Normandy Place in Leawood. Simply PERFECT & METICULOUSLY maintained 1.5 story, 3 bdrm,3 bath villa featuring soaring ceilings, 2 main floor beds & baths, large great room, formal dining, open eat in kitchen & hearth room absolutely loaded with sunlight and character! Beautiful white kitchen, gas cook top island, granite counters, hardwood flors, 2 fireplaces, built ins, plantation shutters, window treatments, 2 fireplaces, stamped concrete patio & MORE! Stunning Leawood Estates 1.5 story home, 4 bed, 3 full & 2 half baths, gourmet chef's kitchen. SS appliances, double ovens, prep & bar sinks, ice maker, spacious granite counters, & vaulted dining area. FF master bedroom, great room w/gas FP, formal dining & den/study & bedroom. 2nd-floor bedrooms share J&J bath, large closet/craft room. LL features a big rec room, climate-controlled Wine Cellar & walk-in Cedar Closet with abundant storage area. Large corner 1/2-acre lot features a privacy-fenced w/brick patio. Entertainers who love golf, pool and fun will love this open updated and meticulously maintain home in Royse. New everything! New kitchen cabinets and quartz counter tops and New paint, hardwoods,carpet in all bedrooms and office. New commercial grade vinyl plank flooring in the basement. New hinges, door knobs and light switches and outlets. Amazing back yard with a lg heated pool, professional putting green, lots of green space, landscaping & waterfall and rock wall. Picture perfect 2story located at the end of cul-de-sac street!First floor all hardwoods-Kitchen remodeled-Family room with big hearth fireplace flanked by bookcases-LArge master suite w/ fireplace,sitting room,3 closets and fabulous master bath-3 car garage-Large fenced private yard with lots of landscaping backing to BRAND NEW Brookwood Elementary school-4th bedroom with murphy bed-hidden closets and attic space that would be perfect spot for a jack-n-jill bath!Newer roof,HVAC,Hot water heaters,&Sprinkler System. Must see Traditional Style 1.5 story w/great attention to details. Soaring 2 Story grand entry, open Fl plan lends self for great entertainment. Private study 1st Fl w/French doors & full wall cabinetry. Chef Kit w/hearth Rm, gas cook top, Jenn-Air Appliances (built-in 36"x 84" French doors Refrigerator w/Pro Style handles 2 yrs old, warming drawer), huge Island 8' x 4', walk-in pantry & full wet bar, instant hot water dispenser. Huge Mst Suite w/Sitting Rm w/Frpl, huge walk-in Closet His/Hers. Mud rm w/ Built-ins. Join the prestigious Waterford neighborhood where residents enjoy tree lined, wide roads, fountains and can walk to the community pool. This spacious 2 story has an elegant open floor plan & a dedicated den/study. The updated kitchen & breakfast room create over 500 sq ft in which to relax and dine with the family. Entertain Guests in the large living room and formal dining room. Hardwood floors on the first floor are new. All bedrooms have walk-in closets. Master suite has a sitting room with a fireplace. Large open plan with complete independent living settup in the lower walkout great for extended family needs. Main living area is full of large windows with lots of light, huge kitchen with Corian counters & large walkin pantry, and 5 additional bedrooms with one on the main level for easy access. All bedrooms have access to their own bath. Main laundry located on second level with bedrooms & second laundry hookups in the lower level additional living space. Sprinkler system to keep lawn in top lush condition. Better than new! You wont want to miss this pristine Leawood property with an open, flowing floor plan, a huge kitchen, and a gorgeous 3 seasons room that overlooks gorgeous wooded views! Perfect for family time and entertaining friends! Backs to naturally thick tree line and park-like green space for complete privacy and serenity. This property has spacious rooms, vaulted ceilings, and unbelievable natural lighting. Tastefully remodeled home in golf course community. Home features two main level master suites. One could be a perfect home office as well. This kitchen has it all from white shaker cabinets, quarts counters and high end Samsung stainless steel appliances. Upstairs offers two additional bedrooms and a full bath with tons of closet/storage space. Lower level is fully finished with a half bath and a great bonus room w a closet. New baths, new windows, new lighting, new plumbing fixtures, new flooring. Great location! Farmhouse charm meets sophisticated style in this comfortable Old Leawood cottage on an estate sized lot. Light and breezy 25ft living rm with timeless architectural details, big thermal windows and gorgeous hardwoods is open to the dining room and granite kitchen with breakfast bar, 2nd prep sink, wine fridge, gas range. 3 BR, 2BA plus a main floor bonus room- perfect for play, office or to add main floor laundry. Master suite is your oasis with a French door to the deck, dual head XL shower in the updated bath. Luxurious, one owner free standing villa on the best lot in Mission Reserve w/beautiful views of water & Ironhorse golf course! Custom built by Arch Design, this expanded floor plan features: courtyard entry, enormous master w/access to screened 4 season deck w/FP, huge vaulted great rm, pantry, fin. walkout w/awesome bar & wine rm, 10ceilings, curved staircase, 4 fireplaces, side entry garage & 4,500 sq. feet! Upgrades incl: zoned HVAC, hickory hardwds & heated master floor.